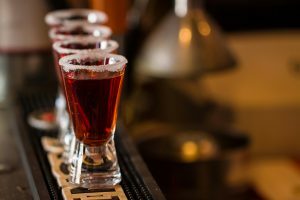 Self-serve dispensing tech has been gaining momentum in the alcoholic beverage market. The self-serve dispensing model allows consumers to set up a tab and then serve themselves from a variety of available drink options. It also encourages the consumer to “trade-up” since they are able to compare pricing and try more expensive products more easily. As the market grows it is becoming easier for consumers to easily access and explore new types of drinks that they might not have been aware of previously. With less barriers to entry this has created new opportunities for drinks manufacturers to expand their consumer base and enter new markets. Brands need to also account for the decrease in consumer loyalty that this new trend encourages and adapt to the new market to strengthen brand awareness. GlobalData, a data and analytics company, predicts that the new on-premise concept has the potential to disrupt the traditional brand loyalty standards in restaurants and bars. The largest market of new consumers is millennials who already have shown a readiness to adopt new and innovative brands. The dispensers also offer secondary benefits of reduced waste, lower labor costs and real time consumer behavior tracking.